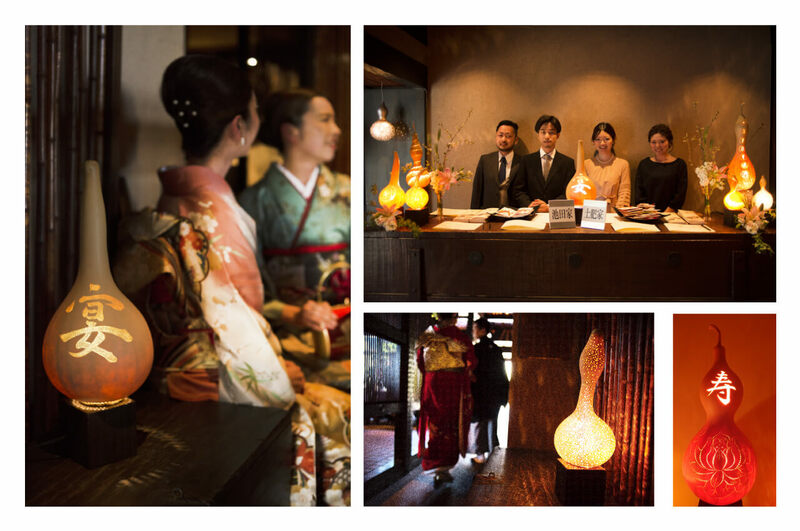 Believed to bring fortune since the ancient times, the gourds are highly valued here in Japan. Long loved throughout history, gourds symbolize harmony between a man and a woman in ancient Chinese cultures, as well as hope among the native Hawaiians. Kalavinka offers wedding reception interior design services to adorn your special day. We hope to shower all brides, grooms, families, guests, and attendees with fortune in a form of our gourds.